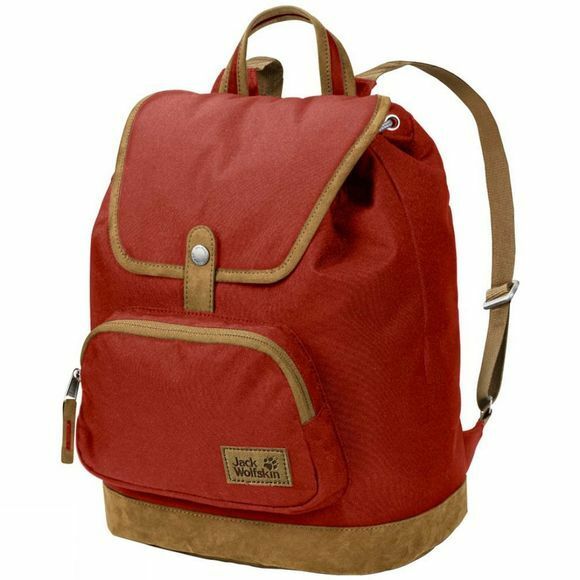 The Long Acre Rucksack from Jack Wolfskin has a stylish retro design and is the perfect size for a day in the city–whether you're close to home or half way round the world. The main compartment is closed off with a draw cord and lid flap. There's room for your phone, keys, etc. in the handy front compartment. The pack has an attractive, feminine design with a pyramid shape and narrow shoulder straps. It is made of hard wearing recycled fabric, with a synthetic suede base and detailing.